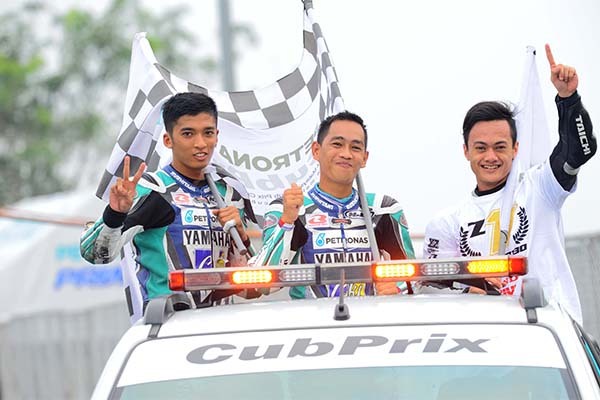 Ahmad Afif Amran admits that he is nervous ahead of the 2014 PETRONAS AAM Malaysian Cub Prix Championship season finale where he will battle seasoned contenders, Norizman Ismail and Affendi Rosli for the second overall position in Alor Setar, Kedah this weekend. Afif heads into the season finale with a 10 point advantage over two-time champion, Norizman (Harian Metro Y-TEQ SCK Honda Racing) and Affendi who are joint second in the standings with 121 points while Givi Honda Yuzy Racing’s Zaqhwan Zaidi had already clinched the CP130 title in the penultimate round in Jempol earlier this month. 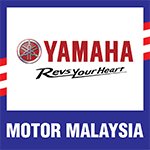 Although nervous, Afif believes he has what it takes to finish ahead of his experienced rivals following an encouraging rookie campaign that saw him win the race in Muar and Teluk Intan while he finished the races in Terengganu, Melaka and Jempol on the podium.